Updated 04-02-14. 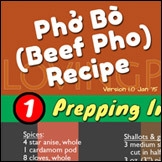 Per a request from Barb Carter over at the "Tips on Ordering Pho" post, here are audio files to help with your pho ordering in Vietnamese language. 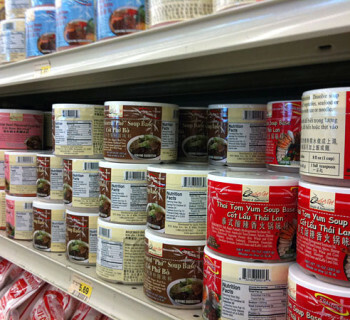 The selection is based on a typical pho menu one may find at many Viet restaurants. So drop me a note in the comment if I missed anything and I'll add it. First a few words about convention. In Vietnamese, the word "tô" means "bowl." 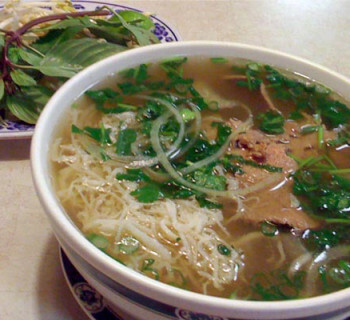 When ordering a bowl of pho tai, for example, a Viet would call a "tô phở tái" or just "tô tái." If you're already in a pho restaurant, then saying "phở" is redundant and is really not necessary (but optionally okay.) If you're in a Viet restaurant that also serves pho, then ordering a "tô phở tái' would be more appropriate to make it clear that you want pho and not another dish. So for those who find saying pho a little challenging, "tô" will solve your problem! bo vien (beef meatballs, normally with tendon). So without further ado, here is the audio pho menu. As always each has the Southern Viet accent followed by Northern Viet accent. Hi there: was trying to send you an email though the contact box but kept getting an error message. 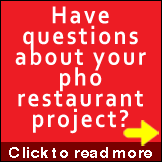 I’m a food writer in Orange County and would love to talk to you more about your post on why pho restaurants have numbers in their names. What a great topic! Please let me know if you’re interested. Thanks! Good topic :). I typically just order a Pho Dac Biet, (or Xe Lua if my eyes are bigger then my stomach is) but I might try ordering some of the ingrediants I prefer individually. The Vietnamese have warmed up to me a bit since I’ve been coming in once or twice a week (and ordering the pho with extra gan 🙂 ), so I might be able to get away with it. Good post though, I swear Pho is one of the very few foods that I actually physically start CRAVING if I don’t have it for a while! Aaron: You’re definitely a pho hero! Xe Lua is always my favorite size, though I only order tai, chin, sach in my bowl. I don’t mind the other ingredients, but I’m fine with not having them so I can concentrate on those 3, plus lots of basil and culantro lol. By the way if you haven’t read “Tips on Ordering Pho” then I highly recommend it. Because once you know about them, I think you’ll love ordering those side dishes. My husband has noticed that on a many, many vietnamese menus that the #16 is always the same. Pho with sliced well done steak. Is this some rule? eddie: Wow that is a strange coincidence. 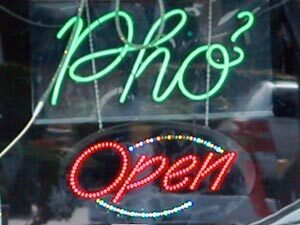 AFAIK, there shouldn’t be any rule regarding which pho goes where. I’m looking at a menu in my hand right now and #16 is definitely not well done steak:) He’s just lucky is my guess, though 16 is one of my own lucky numbers lol. Love this site, and the articles. I am a recent pho addict, and I love the stuff. i have now moved on to trying all the other dishes, having become adventurous by trying som bun bo hue. I can not hear the audio recordings at work, but will check them out at home to see how to say the different dishes. Lots of great stuff here, thanks for the work. Anyway, Thanks for the nice words, and don’t be afraid of the pork blood in bun bo Hue! Excellent post, well done for teaching people. information you are posting here. 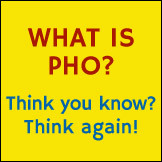 “Pho Pronunciation – How to Order Pho in Vietnamese”? Hi Marina: Thanks for your request. Check out #20 above for the pronunciation of nước béo, the fatty broth, yum! Hi John: Glad the recordings worked for you. 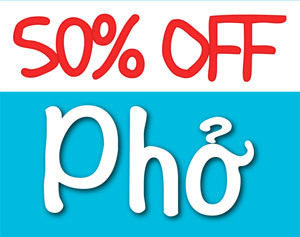 Have a great pho day! Cuong, thanks so much for this excellent webpage! We live near the Chinatown Center in north Austin, Texas, so our neighborhood is practically swimming in Pho restaurants. We are so lucky! I can’t thank you enough for posting these pronunciations… and you speak slowly and clearly enough for us to wrap our brains and then our tongues around the sounds that are so hard for us. You are awesome! Hi lolsuz: Wow thanks for the accolade! I’m glad the audios helped. I love your “practically swimming in Pho restaurants” expression, that’s what we want, yeah! 😉 You are awesome yourself. Have a great bowl of pho for me the next time you’re at it. Bear: When it comes to Thai culture, I am guilty of being ignorant, even though I do have some Thai friends. The possibility is always there. People move around fluidly with trades, cultural and other exchanges, so it’s entirely possible that your postulation is correct. For me, Southeast Asia region is a huge mixed bag of cultures, and the western influence there most likely came from the French, not the English, Spanish or Portuguese. Correct me if I’m wrong, but i think the audio for 4 and 5 are swapped! @Holly: Thanks for your message. The audios for 4 and 5 are actually not swapped. You may be facing some audio skipping problem with some of these audio files running in the Safari browser. They all work fine in Chrome and Firefox. We’re in the process to fix this, so thanks so much for your patience.